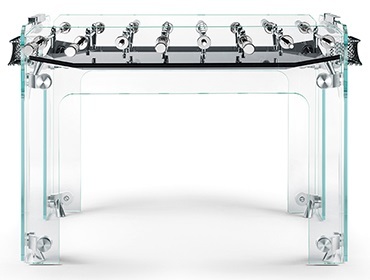 Cristallino is translated to mean Crystal and is one of the most aesthetically pleasing table on the market. It is made by the Italian manufacturer, Teckell, who is known for high class, modern designs. This model is the most recent addition to their product line and is constructed entirely of crystal glass and aluminum. 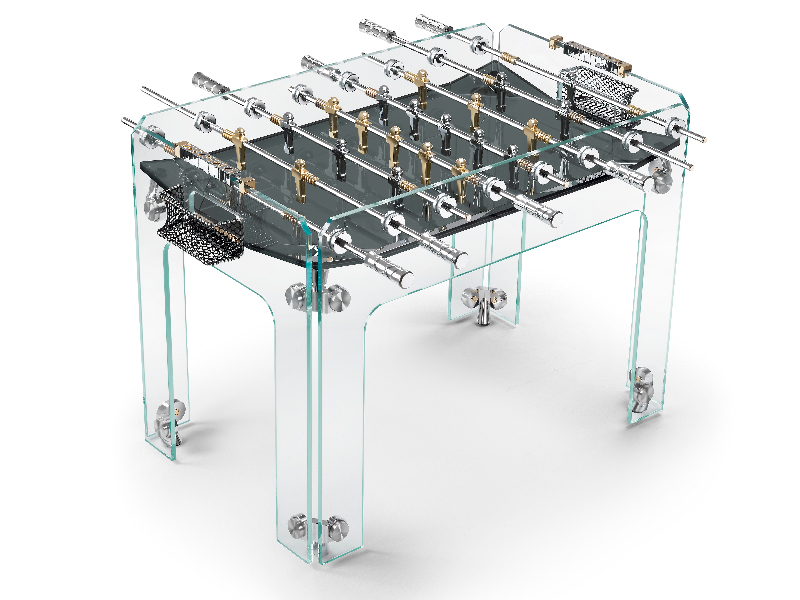 The playing field comes in optional transparent, jet black or green finish. It can also be personalized for a client with their brand or logo imprinted on the center of the table, making it a great show piece to represent a business.